Browser History is one place where we and also other's can see what we are doing, and which sites we are surfing. If you dont want other's to see your browsing site's info, it's better to Browse in Incognito mode or Delete the history after your browsing session is over. 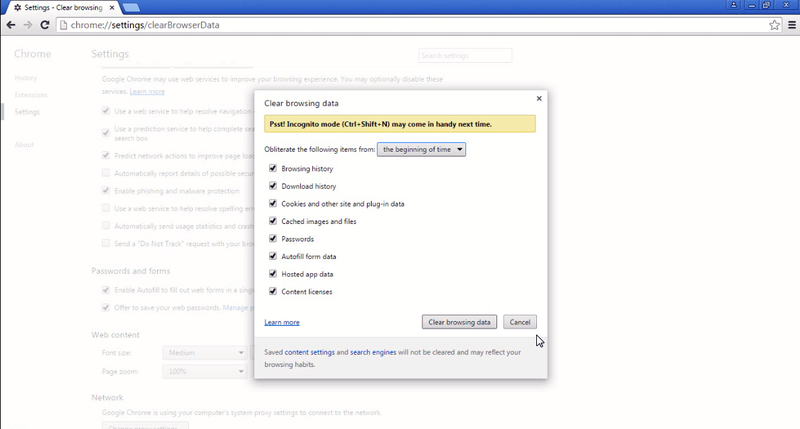 If you are using Google Chrome browser, You can clear the history by following the below step's. You can find this option by Clicking on the Button on the Top Right of the Browser. After going to More Tools, Click on the Clear browsing data... option. You can also directly go to this by pressing Ctrl+shift+Del on your keyboard. 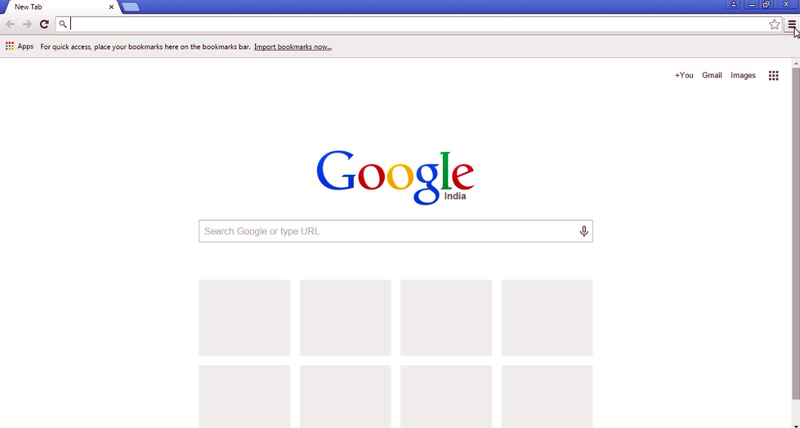 When the "Clear browsing data" option is clicked, a pop up appears on top of Setting's tab. Specify the Time period, ranging from hour, day, week and the beginning of time. Below the Time Period option, you will see some more option's which is of your own interest to select or not to.Here are the options. 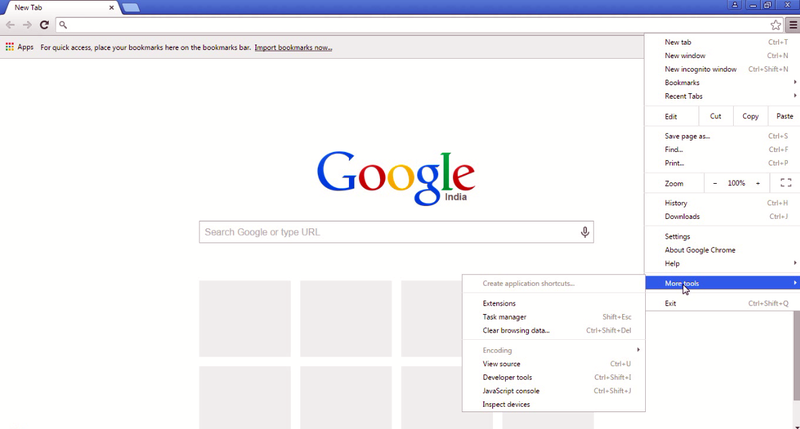 Note:: Selecting all the options will erase everything including app data, content licenses etc from your browser. Once Deleted the Data cannot be retrieved,So before proceeding forward double check your option's. 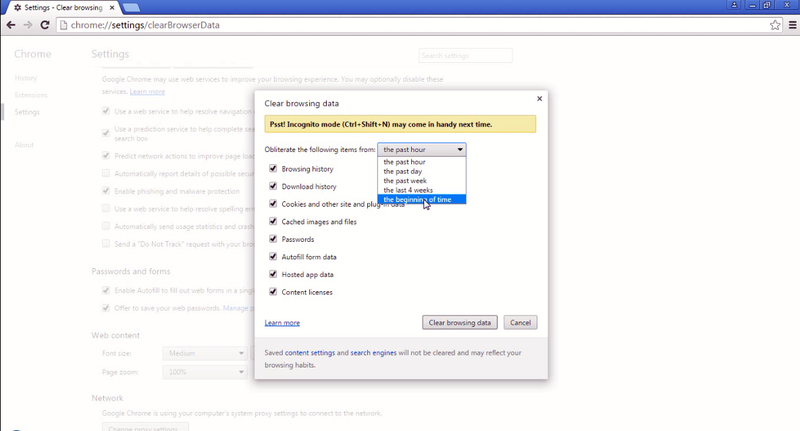 After choosing the required option's, click on the "Clear Browsing Data" Button on the Bottom right of the pop-up. 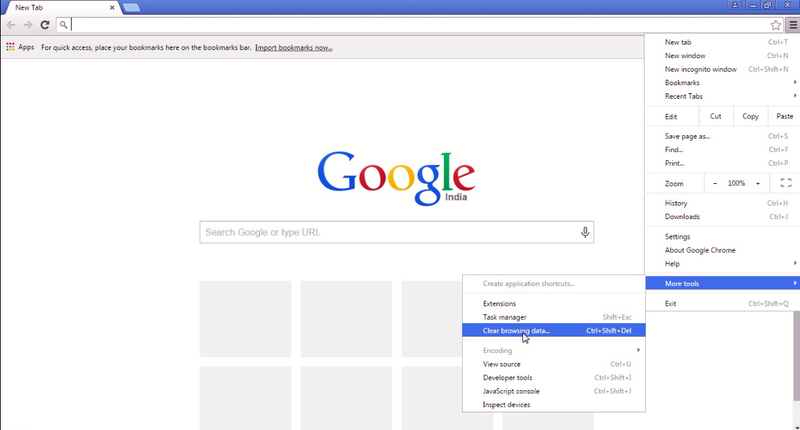 Below is a video tutorial on How to Clear History on Google chrome browser.